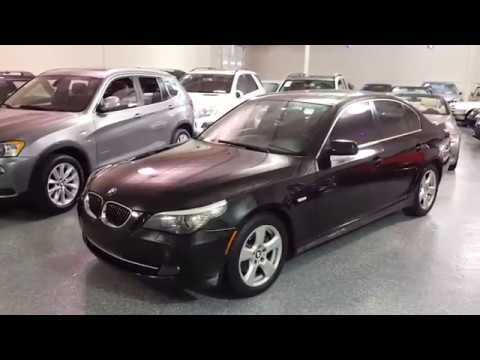 2008 BMW 535Xi - Black Sapphire Metallic with black leather interior, 93K miles, All Wheel Drive, Power moonroof, power heated seats with memory, factory navigation, satellite radio tuner, USB interface, HiFi speaker system, adaptive Xenon headlights with washers, cruise control with brake function. Beautiful condition inside and out. EXTRA CLEAN! Select Motors, LTD. has been visited 13,719,001 times.